November, 15th Conejo released his 5th album of the year called "Hood Star 2". The album consists of 10 all new songs and can be digitally purchased from Amazon, Google Play and iTunes. Don't forget that pressed copies are normally also available on Amazon with a little delay. 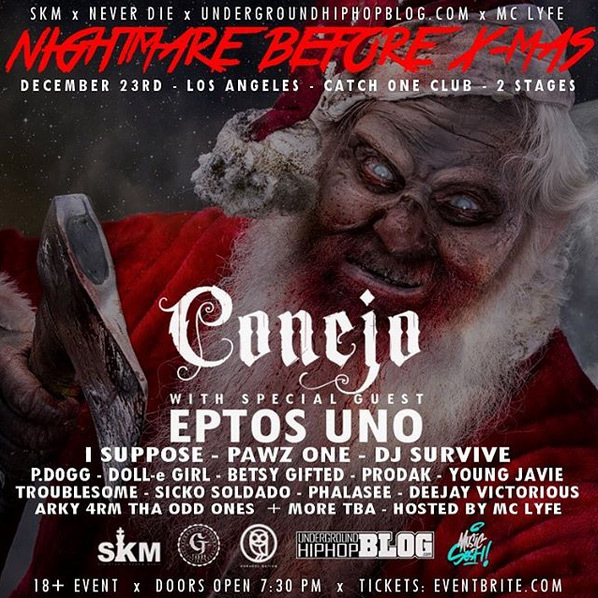 In other news did Conejo announce a concert in Los Angeles called "Nightmare Before X-Mas". The event will take place December, 23rd. Other artists which are supposed to perform include Doll-E Girl, I Suppose, Troublesome and more. To see the official flyer click here. If you stay in the L.A area don't miss this event!